When was the last time you were afraid? It was probably very recent. Fear is one of the most common feelings for a young child and even all the way to a grandparent. We often live in fear when we feel like we aren’t in control or don’t know everything we need to know. We can feel afraid overnight wondering what’s hiding in the closet or under the bed. We can feel afraid waiting on answers or a phone call from a doctor. We can feel afraid in a new situation without a familiar friendly face. But we don’t have to be afraid. We have someone ready to help us at any moment. 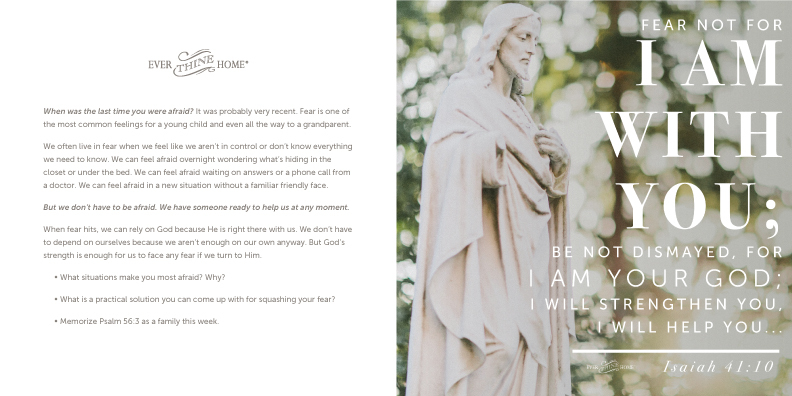 When fear hits, we can rely on God because He is right there with us. We don’t have to depend on ourselves because we aren’t enough on our own anyway. 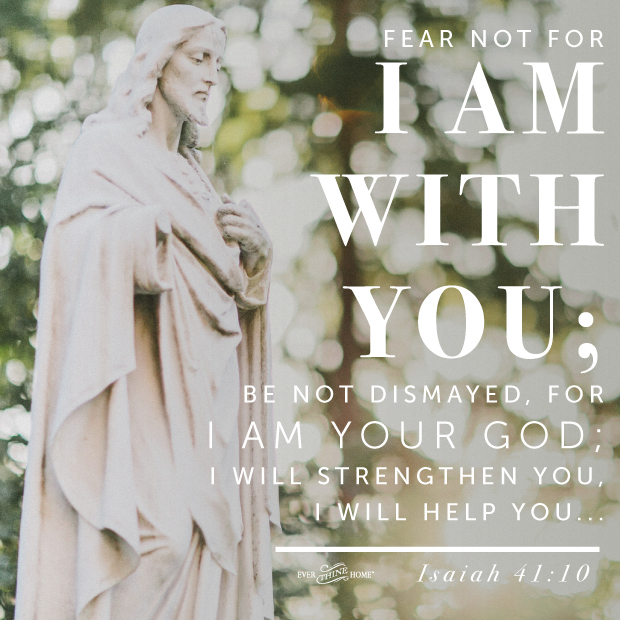 But God’s strength is enough for us to face any fear if we turn to Him. -What situations make you most afraid? Why? -What is a practical solution you can come up with for squashing your fear? -Memorize Psalm 56:3 as a family this week.